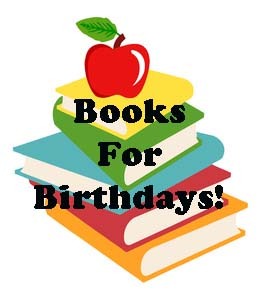 ​The GHS Books for Birthdays Program is designed to celebrate your child’s birthday and increase the selection of books in our school library. In honor of your child’s birthday family members, grandparents, or friends can purchase a book that will be donated in their name to the GHS library. Inside the book’s cover a bookplate will be affixed with your child’s name, birthday, and the donor’s name. The book will be checked out of the library in their name, delivered to the classroom, and presented to the child on or close to their birthday. When the book comes due it will be returned to the library’s permanent collection.